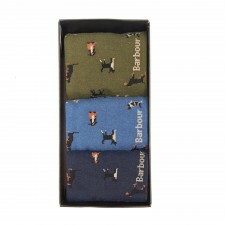 These Mens Barbour socks are made from a durable yet warm cotton mix. Featuring a countryside theme of Pointer dogs. These Mens Barbour Socks are knitted from a long-lasting cotton mix and feature a countryside motifs perfect for the outdoor-loving Barbour fan! There is a heat-sealed Barbour logo on the sole. 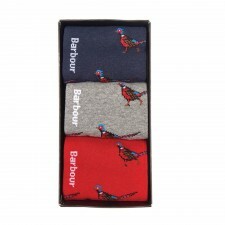 Presented in a Barbour gift box this will be perfect to gift to yourself or someone else this season. 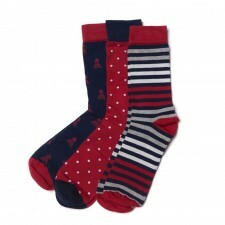 A perfect way to keep away cold toes during the wet Scottish winters! 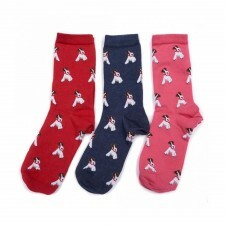 Boxed set contains three pairs.